BIOAVAILABLE ISOMER: CLA is a naturally occurring trans isomer of linoleic acid. It is unique in structure because of the location of the double bonds in the linoleic acid molecule. 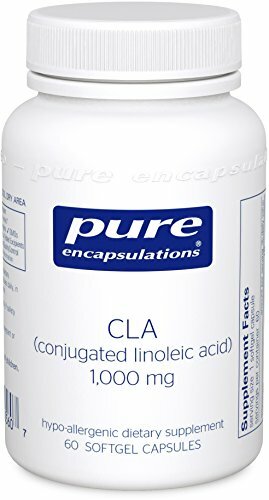 Pure Encapsulations concentrated CLA provides an average of 77% total CLA.